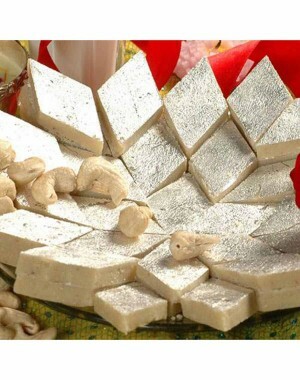 Kaju katli is one of the richest sweet of India and is most liked by the people. Kaju Katli is made with cashew nuts soaked in water overnight (it is not prepared using milk) and ground the next day with one thread sugar syrup and finally silver leaves over it. But this process requires expertise and we have it. Pethawala Agra provides finest Kaju Katli to its customer.